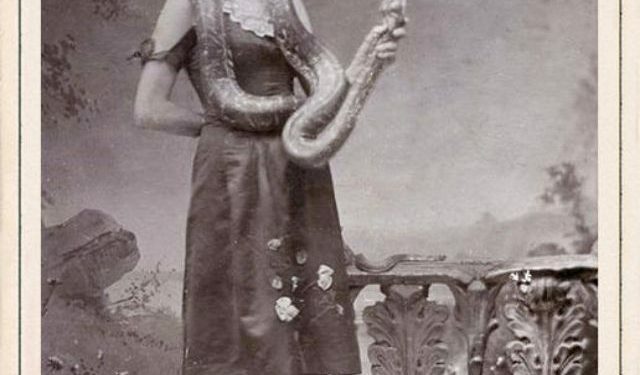 One of my favorite scenes from one of my favorite movies was the music video shoot in Wayne’s World, the one where near-naked Tia Carrare plays guitar with a python writhing around her. 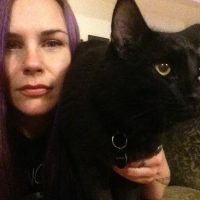 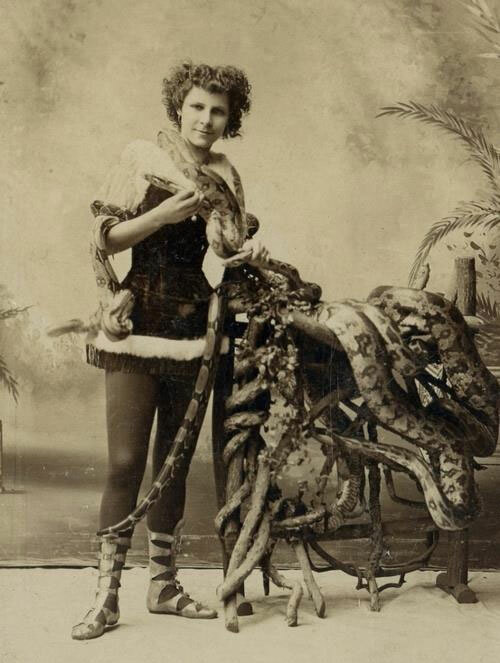 I was a 12 year old crushing on a babe in 1992, but the “hot woman handling a large snake” has been a pretty popular theme for the past century or more. 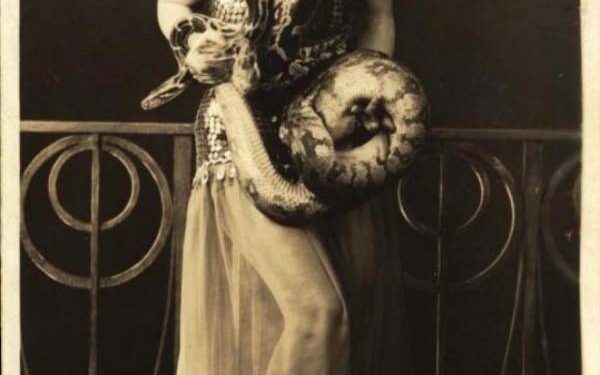 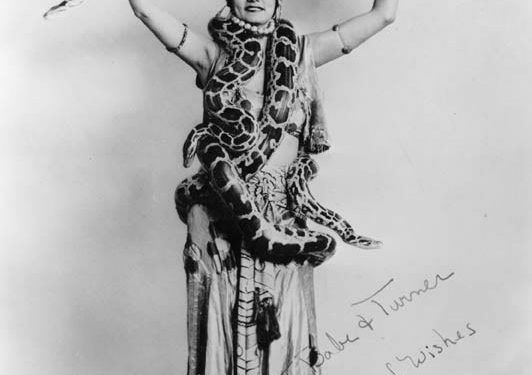 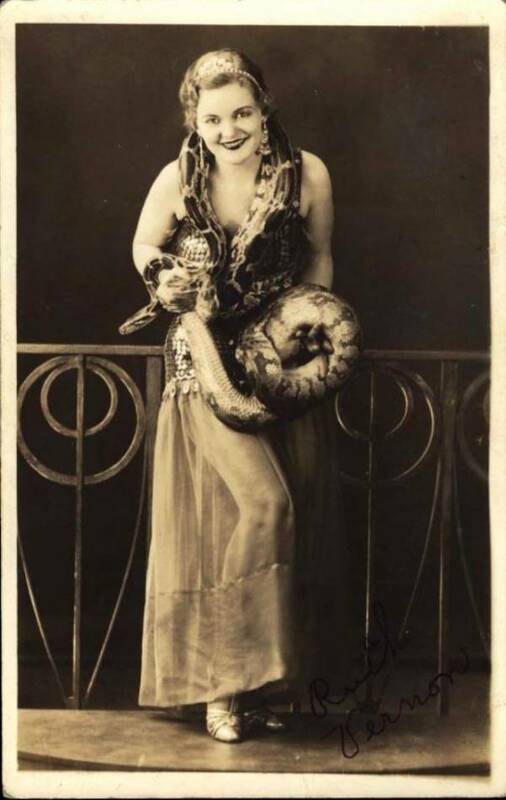 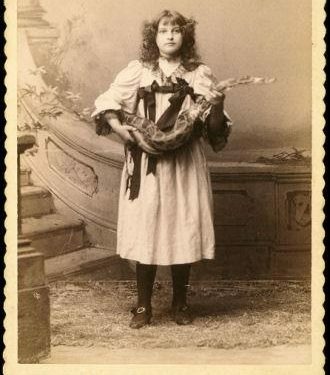 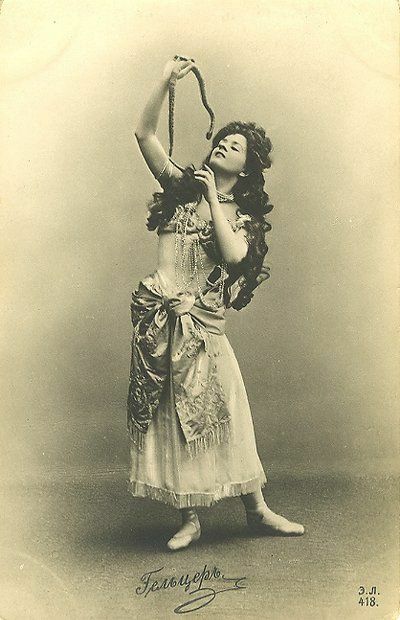 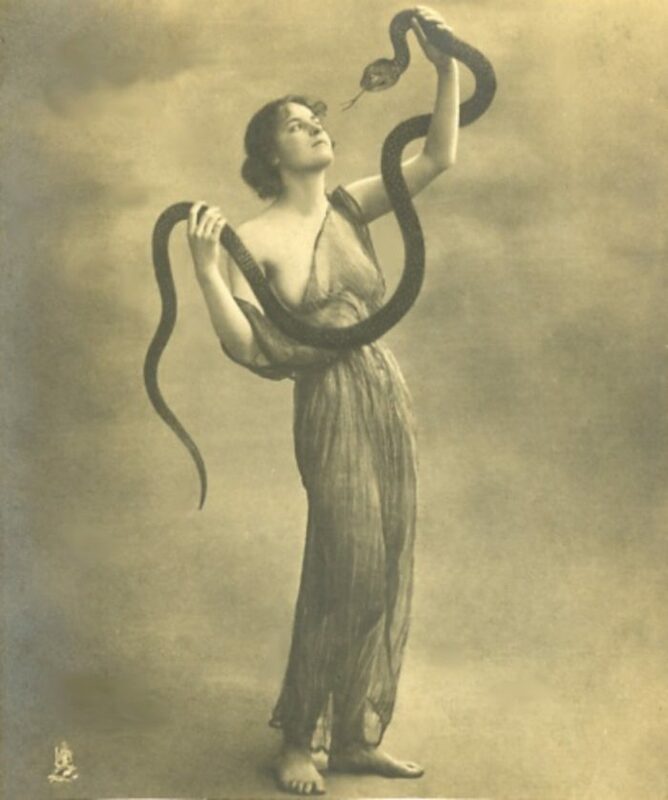 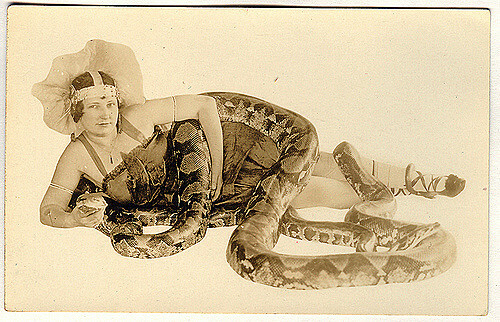 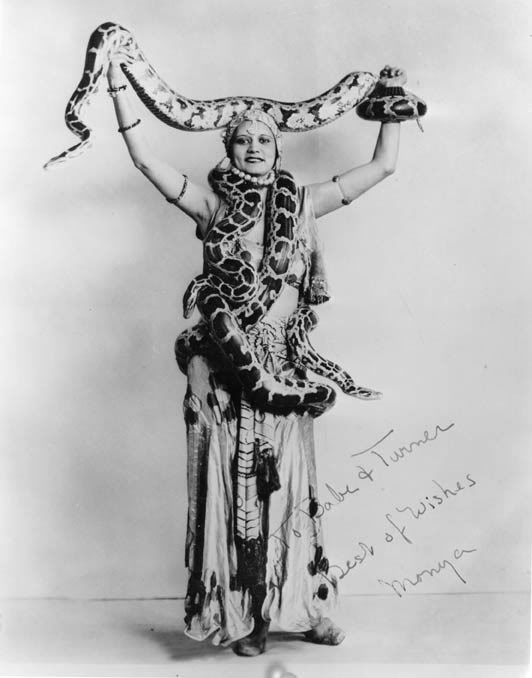 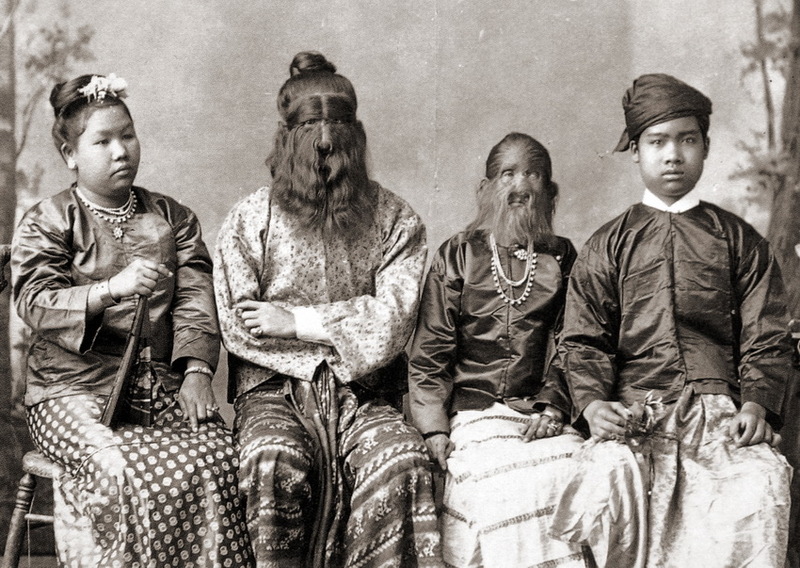 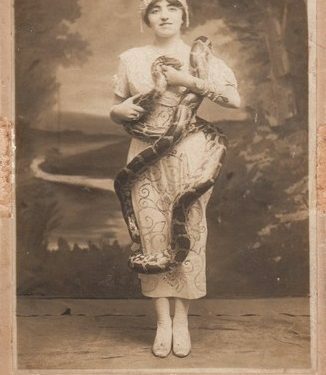 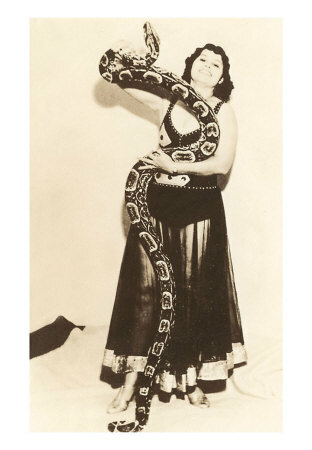 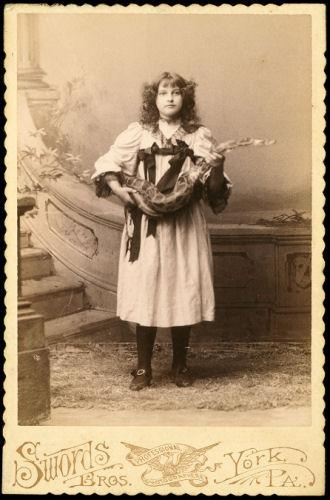 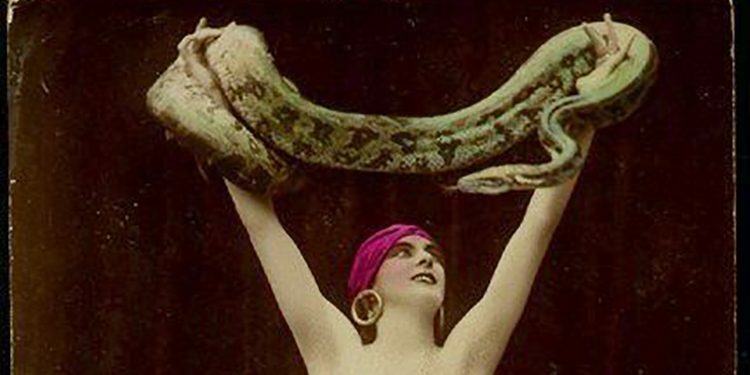 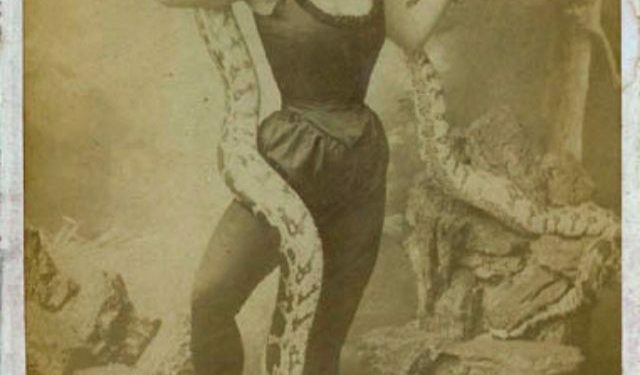 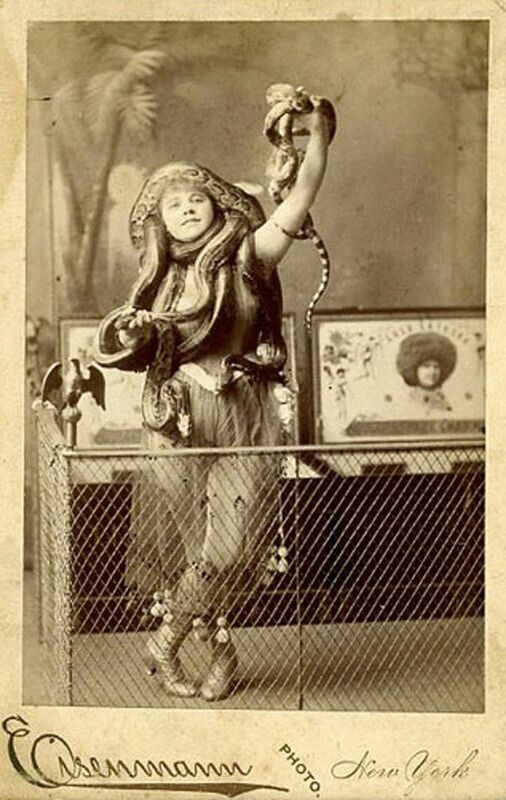 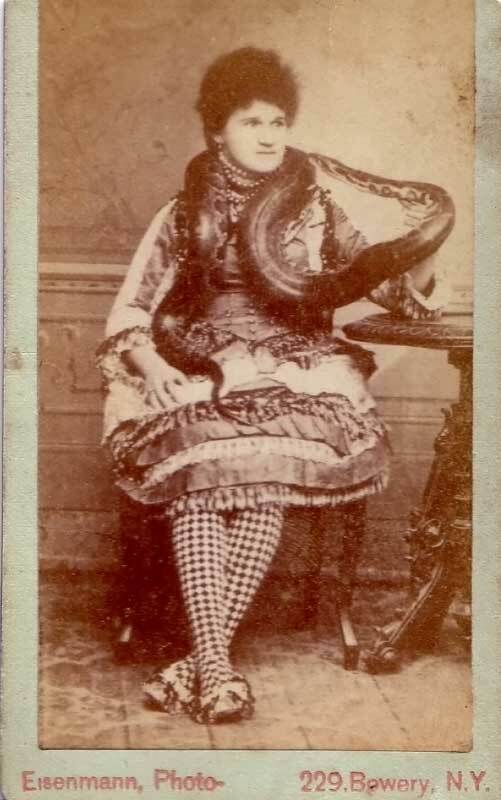 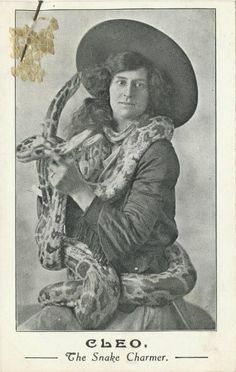 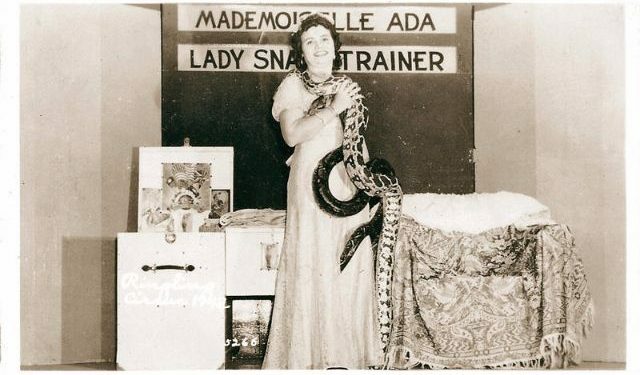 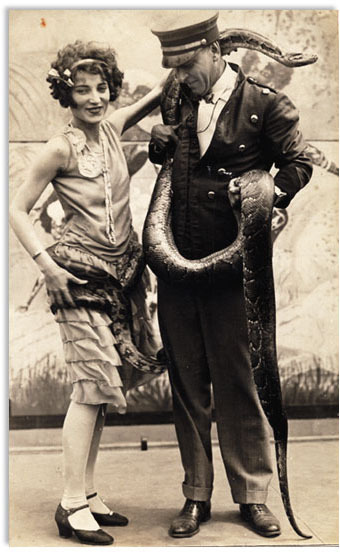 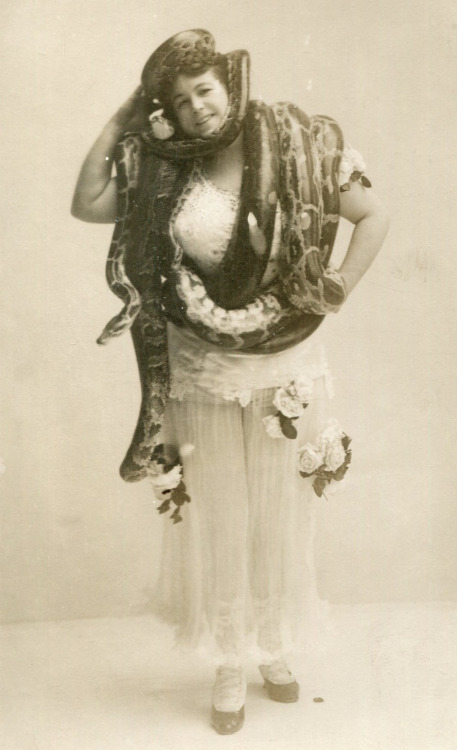 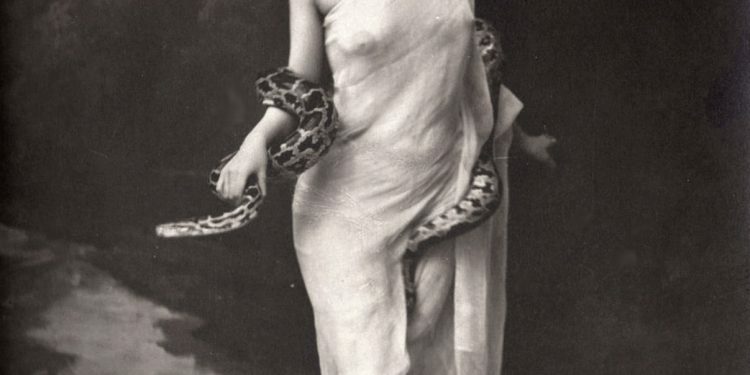 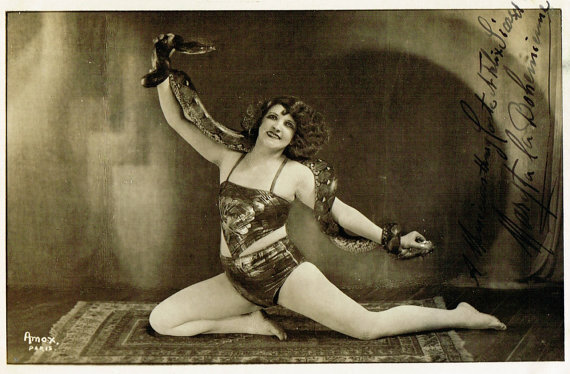 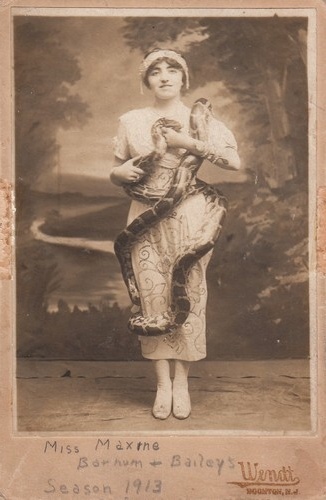 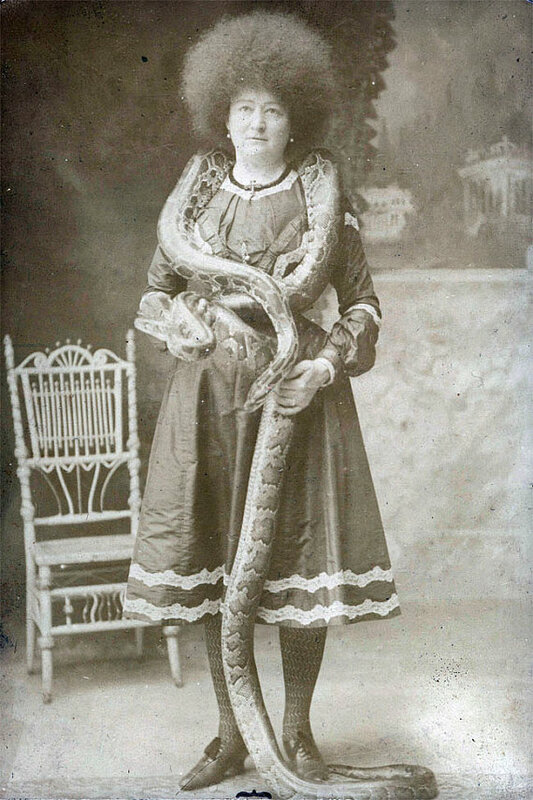 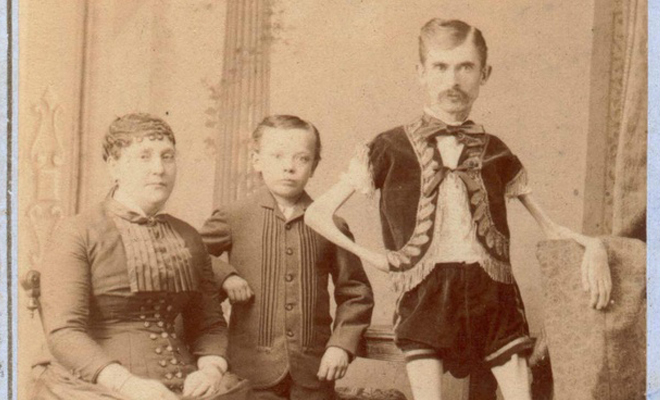 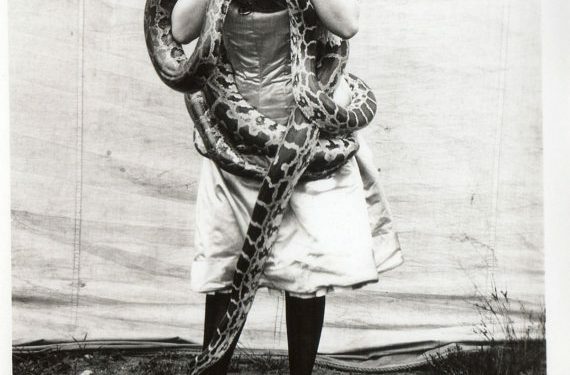 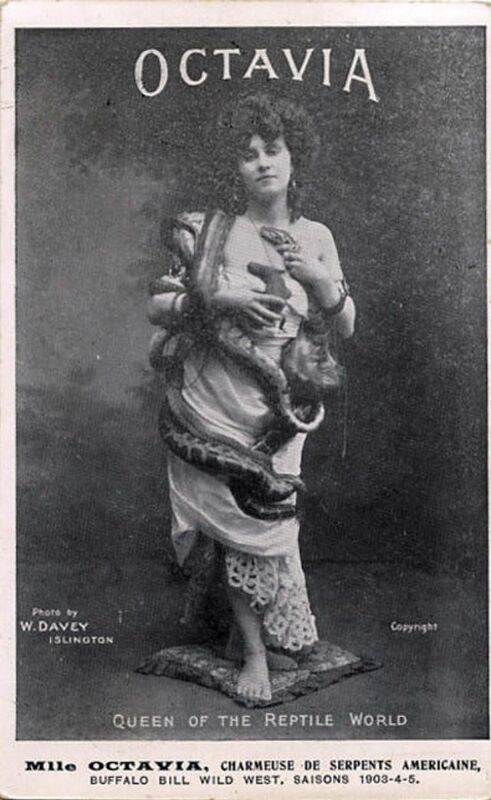 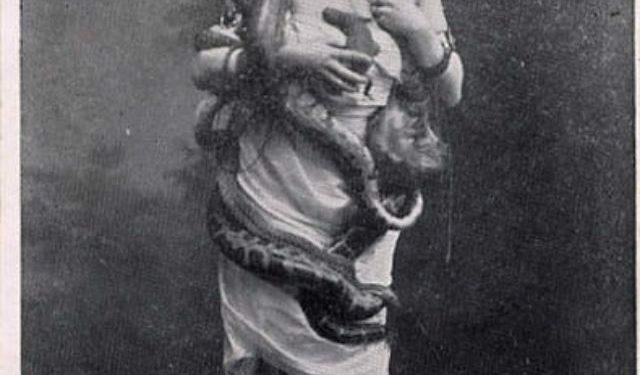 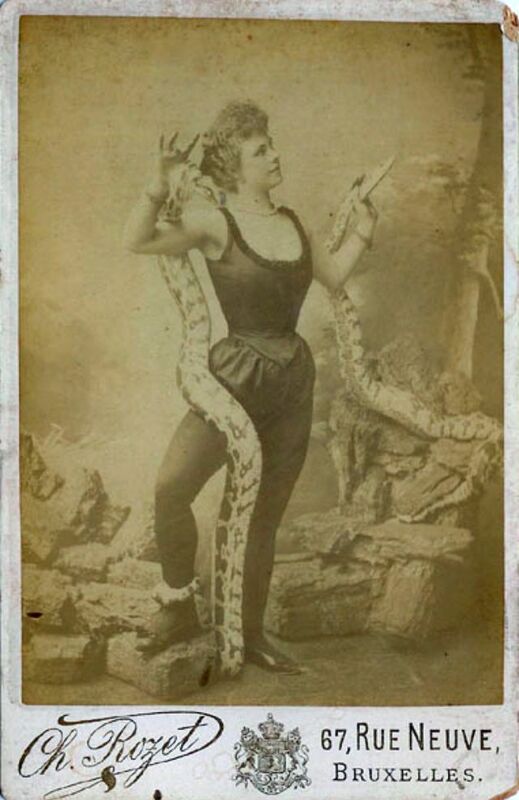 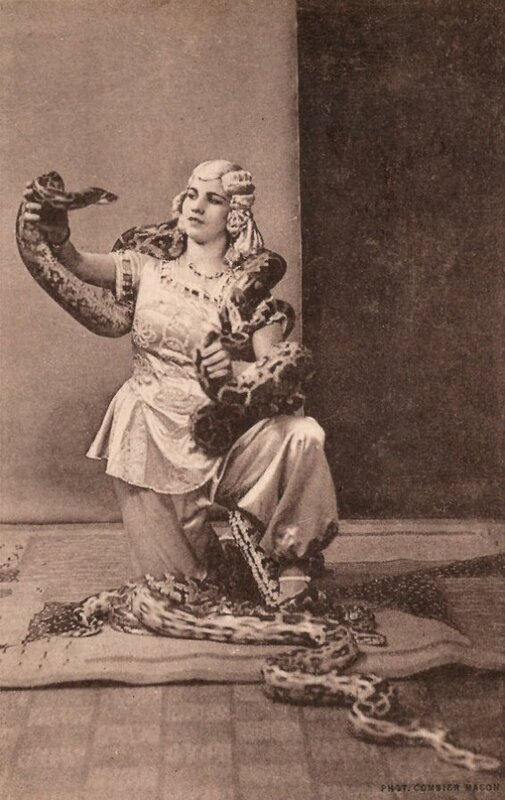 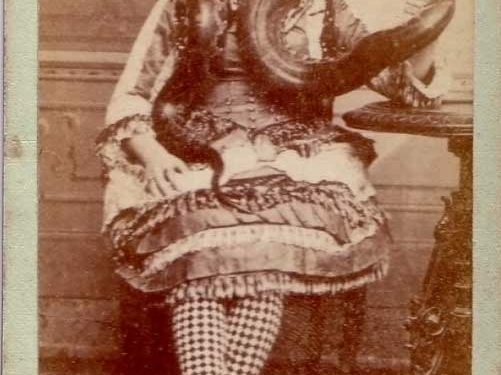 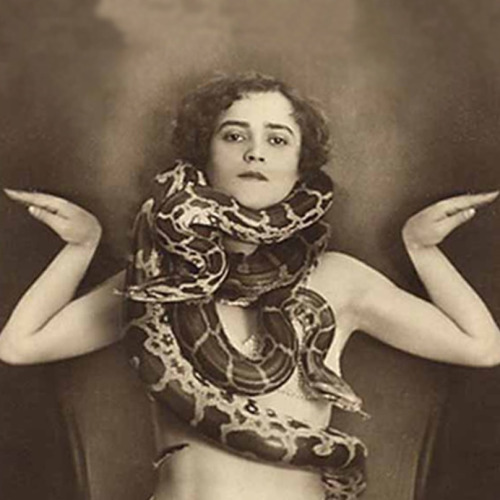 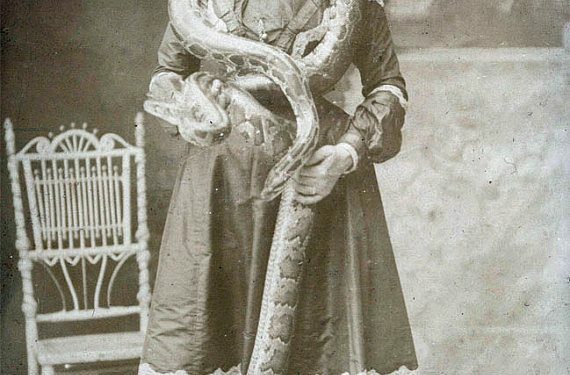 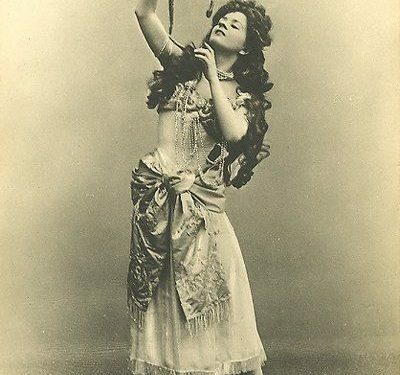 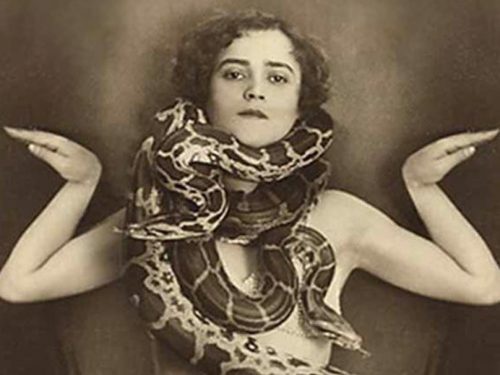 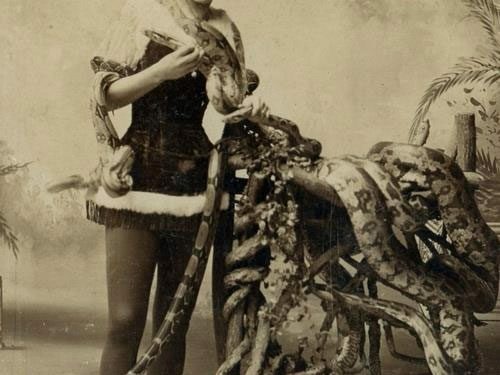 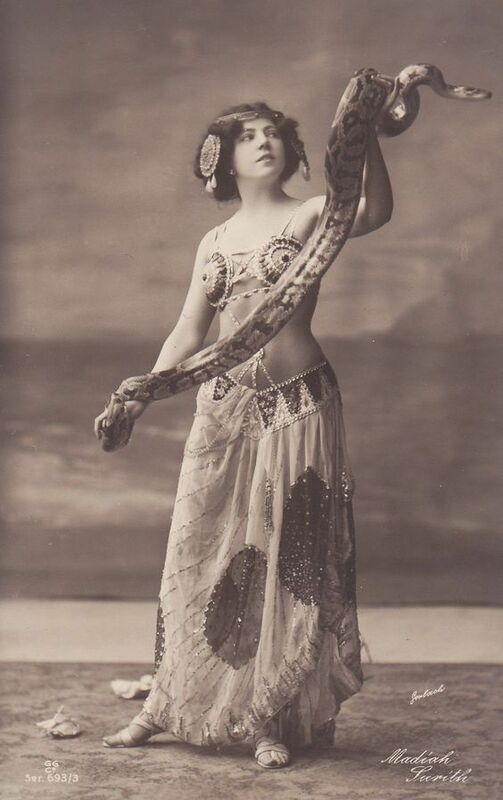 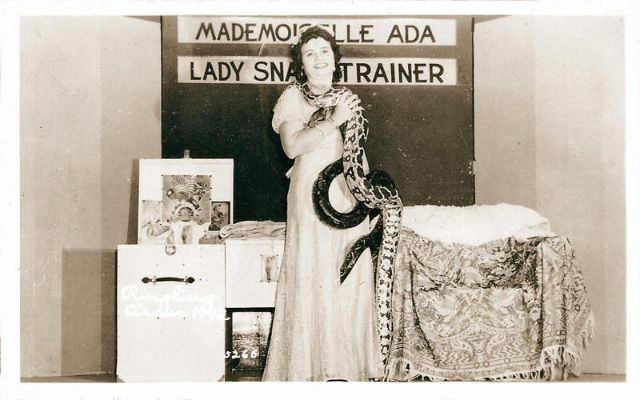 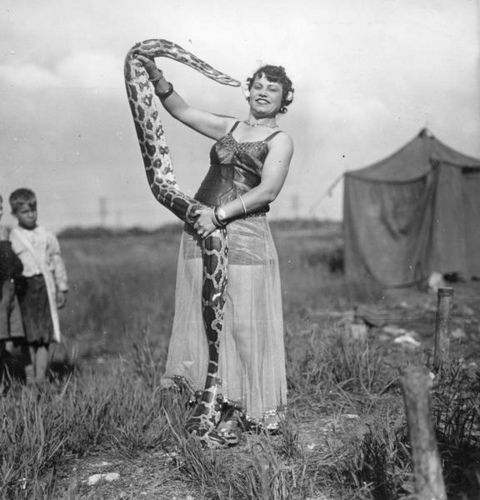 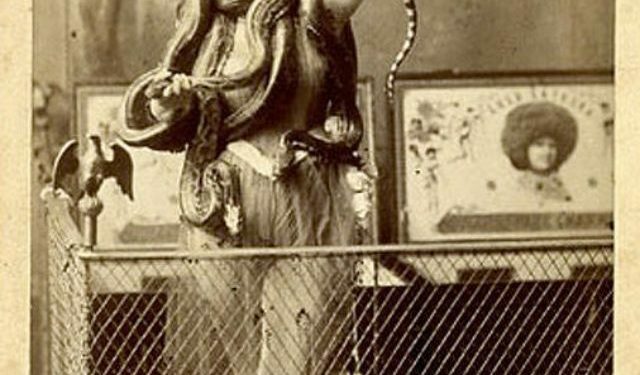 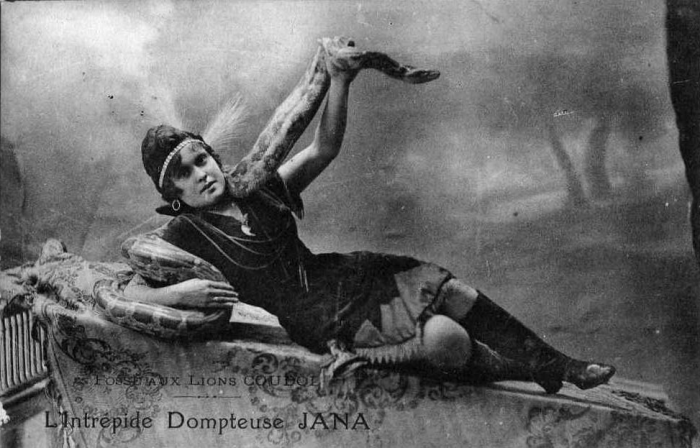 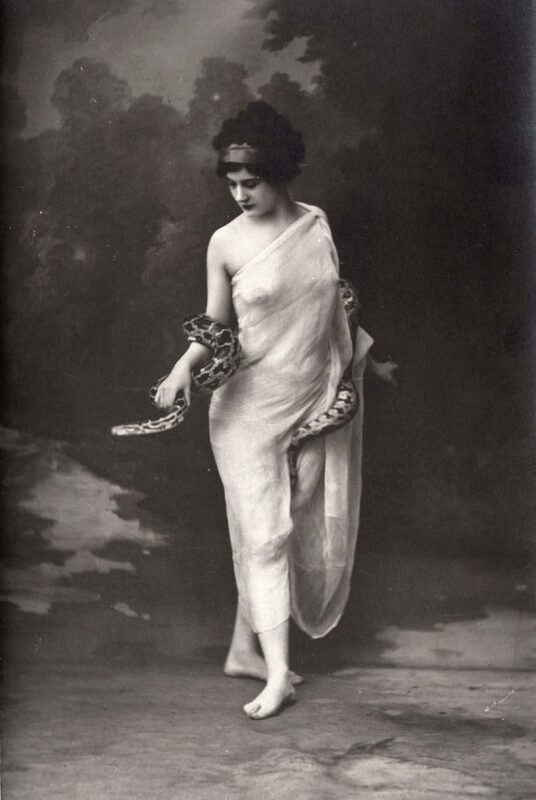 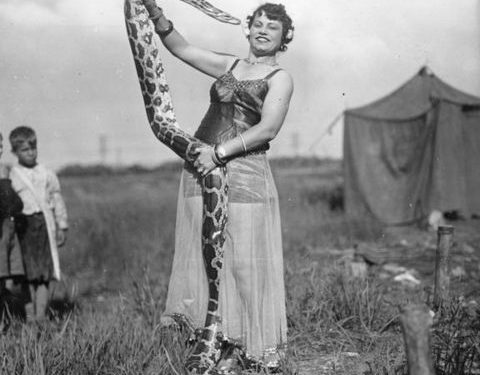 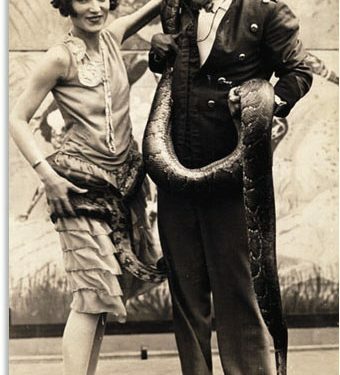 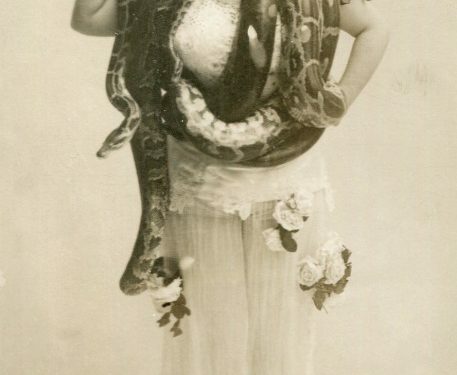 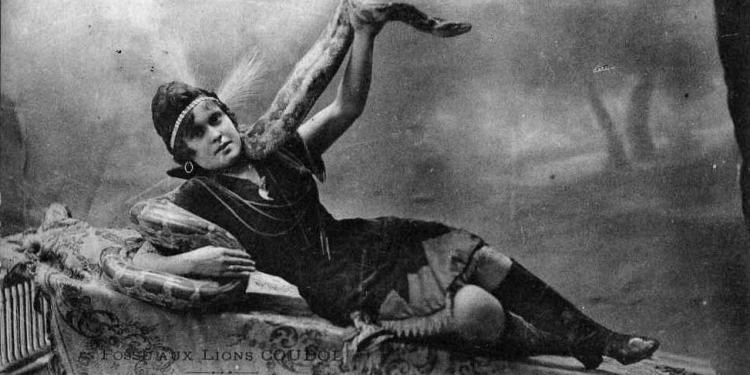 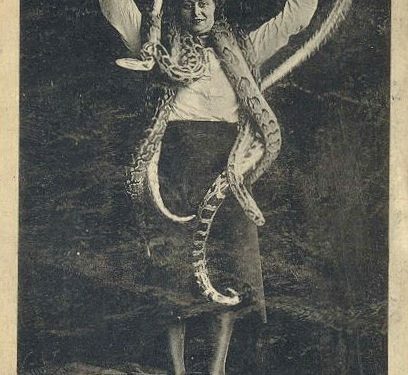 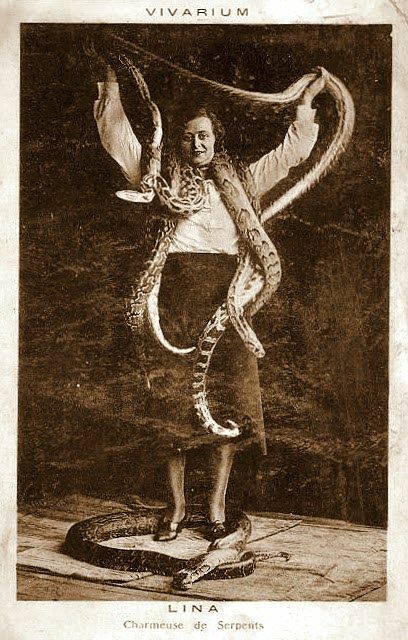 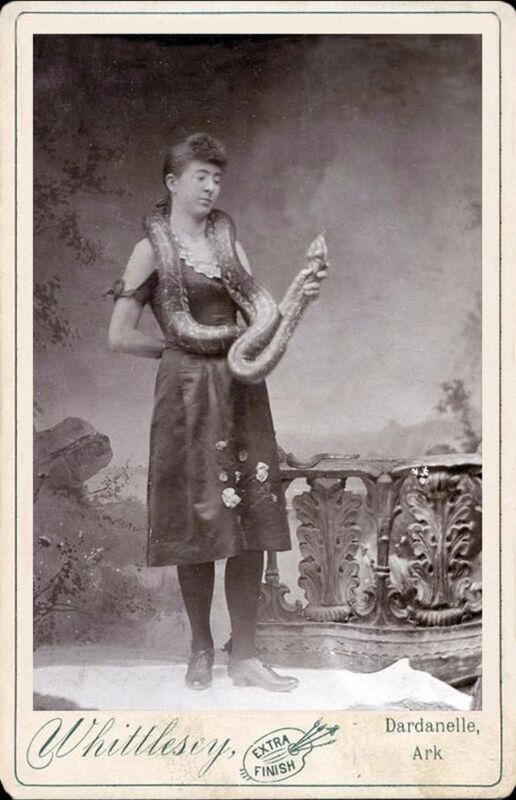 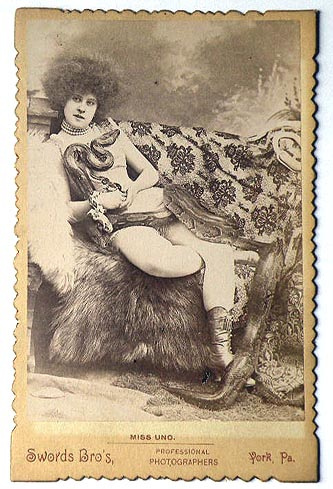 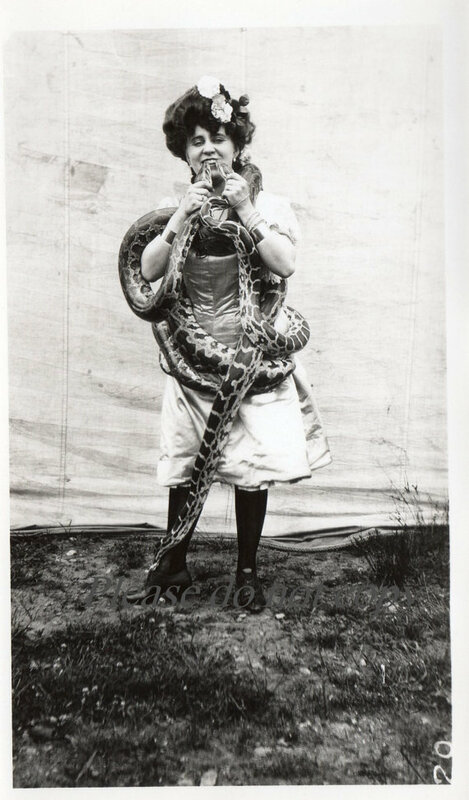 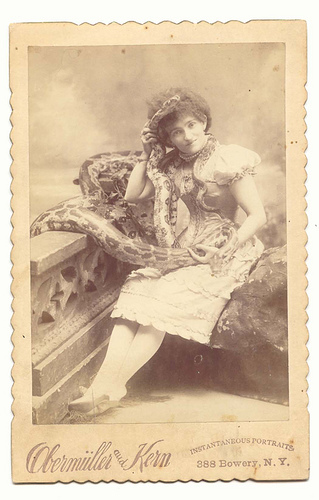 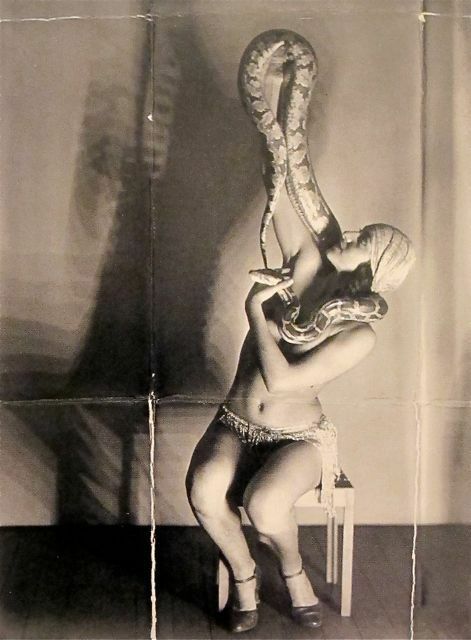 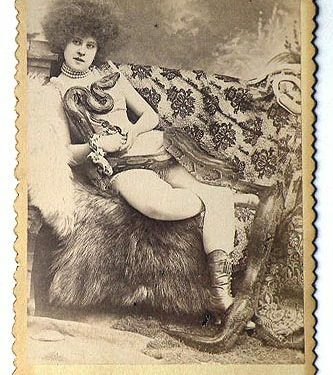 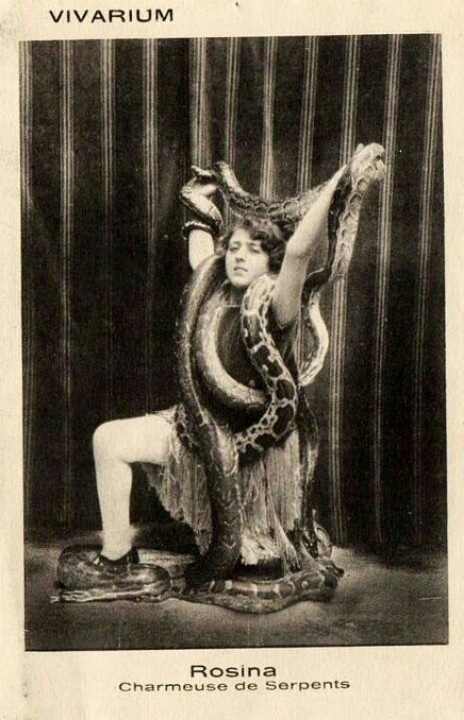 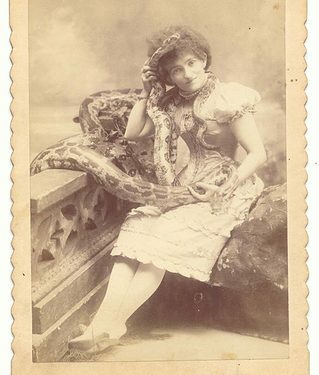 The snake charmer was a star attraction at the circuses of the late 1800s and early 1900s. 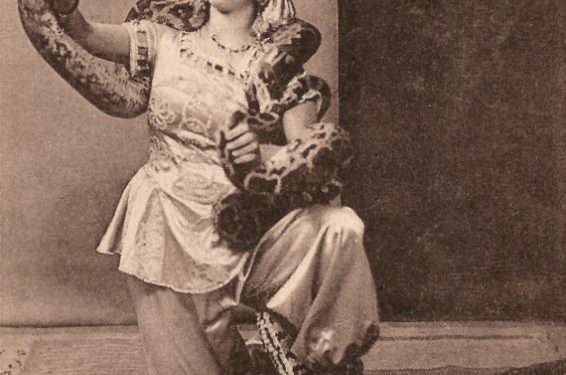 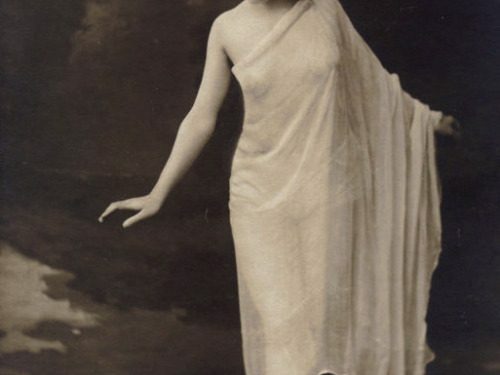 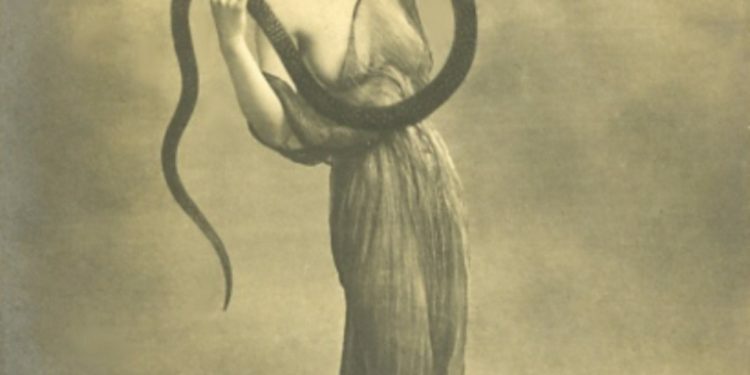 The female snake charmers were especially popular – they were presented as highly sexed and animalistic, coaxing these wild, dangerous animals into submission. 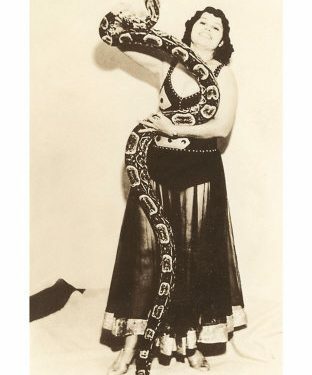 I wonder how many wives pulled their husbands away from the snake charmer’s seductive gaze, worried that the scantily-clad woman was looking to handle their married pythons?